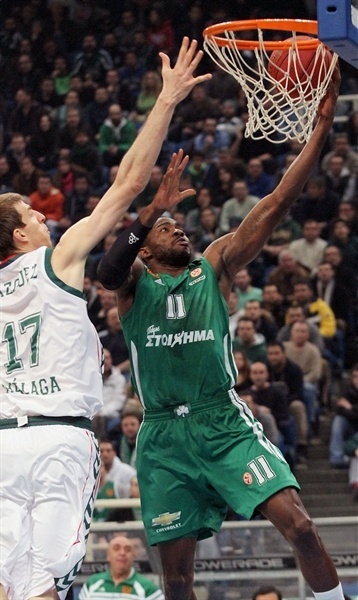 Panathinaikos Athens improved to 2-1 in Top 16 Group E by topping Unicaja Malaga 78-73 in the Greek capital on Thursday. 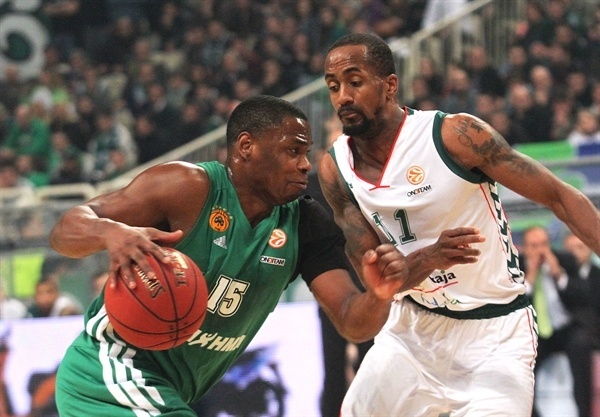 Panathinaikos grabbed its fifth consecutive home win, while Unicaja registered its second straight loss and dropped to 1-2. James Gist paced the winners with 17 points against his former team. Marcus Banks and Jonas Maciulis each added 14 and Dimitris Diamantidis dished 8 assists before leaving the game with a sprained ankle. 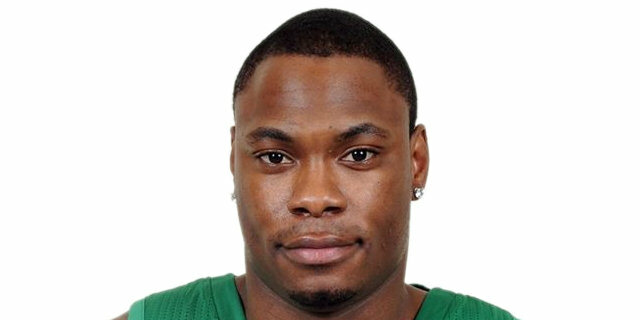 Earl Calloway led Unicaja with 14 points. Krunoslav Simon, Andy Panko and Luka Zoric each added 11 and Kosta Perovic pulled down 13 rebounds for the guests. Diamantidis led Panathinaikos to a 23-19 lead in the first quarter and an outstanding Banks made it a double-digit game, 33-23, right after that. 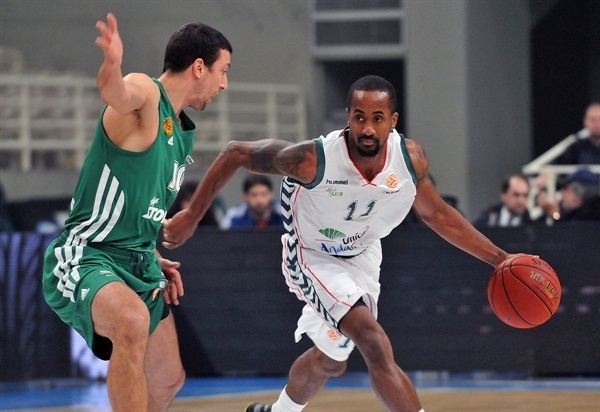 Calloway led a 0-11 run, which Sergi Vidal capped with a three-pointer to give Unicaja the lead, 33-34. Three-pointers by Banks and Maciulis gave Panathinaikos a 39-37 lead at the break. Unicaja did not give up, as Calloway and a three-point play by Zoran Dragic helped the guests take a 56-58 edge after three quarters. Gist and Maciulis fueled a 9-0 run that seemed to seal the outcome, 73-64, but Unicaja got within 73-71 in the final minute. Free throws by Banks and Mike Bramos in the final 25 seconds iced the result. Gist got Panathinaikos going with a put-back slam, but Simon answered from downtown for a 2-3 Unicaja lead. 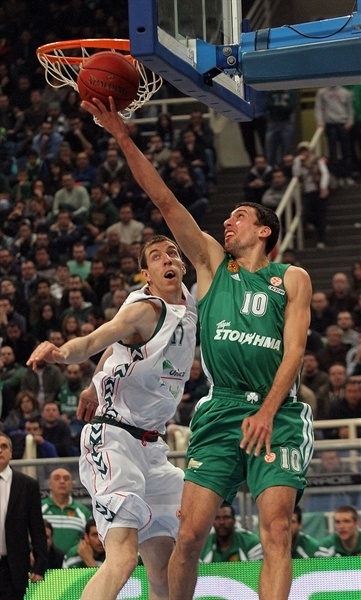 Diamantidis sank a three-pointer from the top of the key and an alley-oop slam by Gist gave Panathinaikos a 7-3 edge. Zoric scored down low and a long two-pointer by Earl Calloway tied it at 7-7. Maciulis nailed a catch-and-shoot triple and a put-back dunk by Perovic kept Unicaja within 10-9. 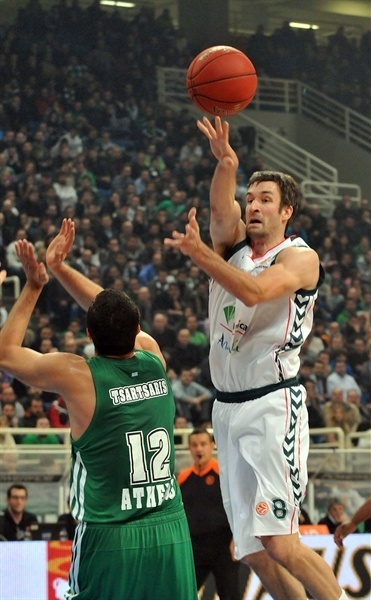 Roko Ukic scored in penetration and free throws by Maciulis boosted Panathinaikos's lead to 14-9. Fran Vazquez stepped up with a floating layup and a fast break basket by Simon kept Unicaja as close as 15-13. Stephane Lasme and Gist made free throws, but Dragic and Txemi Urtasun matched those with back-to-back layups. 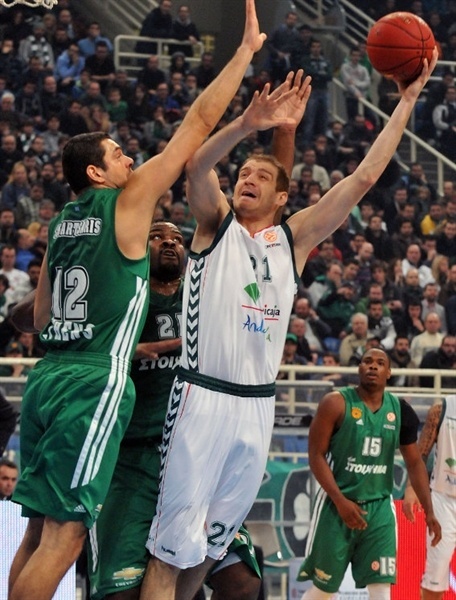 Diamantidis sank foul shots and Mike Bramos scored in transition to boost the hosts' lead to 22-17. 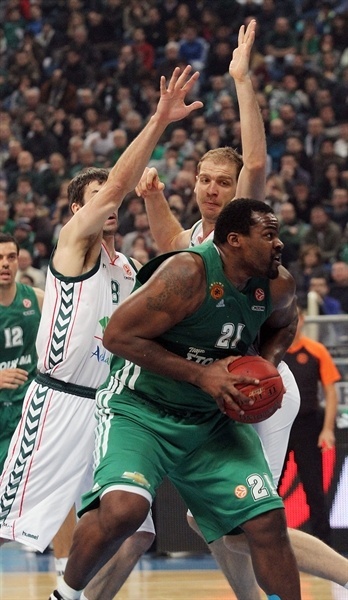 Free throws by Zoric and Sofoklis Schortsanitis fixed the score at 23-19 after 10 minutes. Schortsanitis dunked early in the second quarter, but Zoric quickly answered with a put-back slam. Banks struck from downtown, extending the hosts' lead to 28-21. Unicaja kept struggling to score until Marcus Williams fed Zoric for a fast break dunk. Banks buried another three-pointer and followed that with a fast break layup to make it a double-digit game, 33-23. Unicaja called timeout and improved its defense, playing more aggressive at both ends. Meanwhile, Panko buried a corner triple to get within 33-26. Calloway took over with a step-back three-pointer and a floating jumper by Urtasun caused the hosts to call timeout, 33-31. 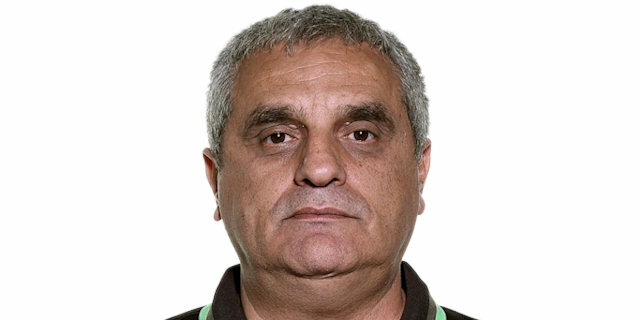 Panathinaikos was held scoreless for more than three minutes when a three-pointer by Vidal completed the guests' comeback, 33-34. Banks quickly answered from downtown, but a rainbow jumper tied it at 36-36. Perovic split free throws, but Maciulis downed a corner triple to put the Greens back ahead, 39-37, at halftime. Lasme banked in a close shot immediately after the break, which Panko matched with a six-meter jumper. Lasme split free throws before a red-hot Panko took over with his trademark running jumper and Zoric soon tied it at 42-42. Gist and Schortsanitis tried to change things with foul shots, but a driving layup by Urtasun kept Unicaja within 45-44. Jason Kapono struck from downtown and Gist bettered Calloway's jumper with his own shot from beyond the arc, good for a 51-46 Panathinaikos lead. Panko stepped up with a second-chance layup and matched Kapono's jumper with a driving layup. Kapono kept pacing the Greens with a mid-range jumper, but Calloway did better with a three-pointer and a fast break layup that tied the game again, 55-55. 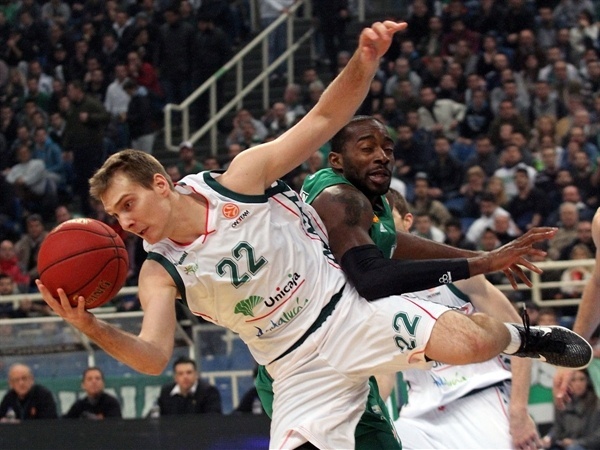 Dragic took over with a three-point play and a free throw by Diamantidis kept Panathinaikos within 56-58 at the end of the third quarter. An acrobatic layup by Simon made it a four-point game early in the fourth quarter. Lasme sank free throws, as Unicaja kept powering the offensive boards. Zoric shined with a driving layup, Ukic split foul shots and a three-pointer by Maciulis tied it at 62-62 with six minutes to go. Unicaja struggled to score when it mattered most and Diamantidis left the game with an ankle injury. 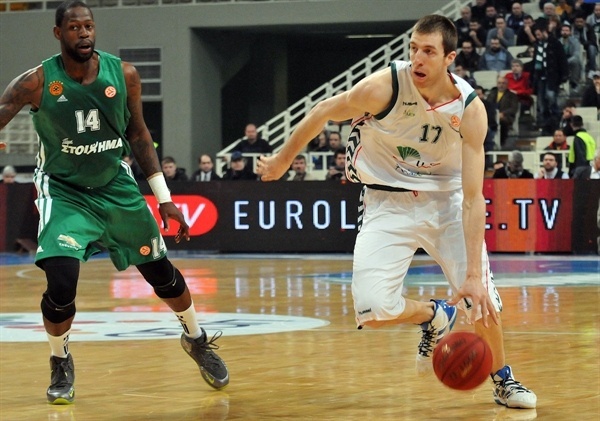 Gist rescued the Greens with a corner three-pointer and free throws by Ukic capped a 9-0 Panathinaikos run. Unicaja was held scoreless for almost four minutes until Simon made free throws. Maciulis nailed one from downtown and Gist copied him soon after that for a 73-64 score with more than two minutes remaining. Urtasun buried a five-meter jumper and a fast break layup by Calloway gave Unicaja some hope at 73-68. Perovic split free throws, Ukic missed from downtown and Simon made it 73-71 with 27.2 seconds left. Banks split foul shots, Simon missed from downtown and free throws by Bramos sealed the outcome, 76-71, with 12.4 seconds left. 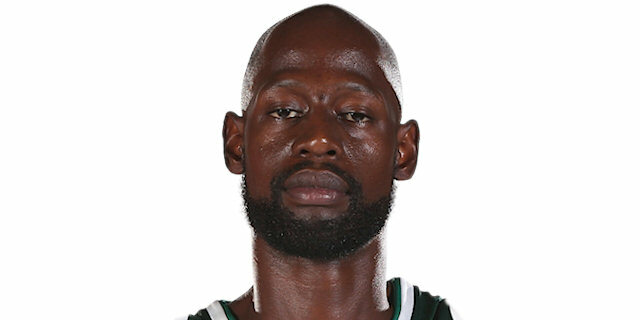 "We knew that we would play a very tough and difficult game, because Unicaja Malaga is a team that usually plays with three players in the perimeter and likes to run and press its opponents with that kind of game. In the first half they scored 12 points in the transition game and they took advantage of second-chance opportunities, since we missed defensive boards. We didn’t have a good reaction against their pick-and-roll, but in the last quarter we got our defensive spirit and energy and that was the key to winning. The victory is very important not only because we edged a very good team, but due to the injury and the absence of Diamantidis as well." "We fought for 40 minutes to get the best possible result, but it didn’t happen. Unfortunately we lost our concentration in the last period and this is the reason because I called two timeouts. We came very close to winning the game, but we lost as happened in Kaunas versus Zalgiris. However we have to remain positive and keep working hard. 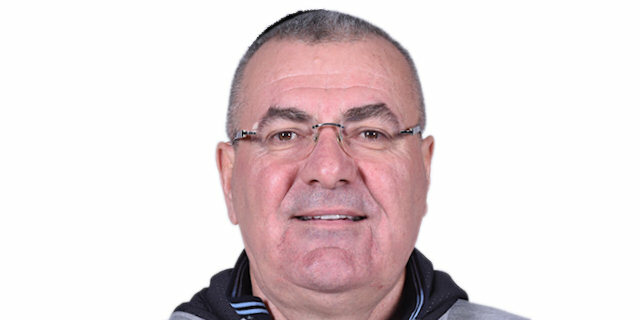 Now we have to play the Spanish League game versus Cajasol Seville and then we will think of the next Euroleague game." "I had extra motivation due to some personal reasons to play good in this game, but at the end of the day the team’s effort is what it counts more. I am glad we won and we look forward to playing better and getting the victories we need. Sure we need to improve our performance, especially under the boards and not allow our opponents to grab offensive boards and have second chances." "It’s not an easy task and it’s gonna be very tough to survive in the Top 16. We beat them tonight, but we have to play much better in defense in order to make it to the playoffs. I enjoy the competition in every game, either on the court or the bench, this is the reason I try to give energy to my teammates and to the fans."